As bad as things have been for Facebook since the Cambridge Analytica scandal broke one year ago, one team of researchers, led by a former peer of Mark Zuckerberg at Harvard who created one of the original Facebook prototypes, thinks the reality of the company's circumstances is even more dire than investors realize. In a report published Thursday by PlainSite, an independent research shop led by Aaron Greenspan, analysts calculated that Facebook CEO Mark Zuckerberg has been regularly lying to investors and the public about the company's user metrics, and that the company could be overestimating the number of users by as much as 50%. Ultimately, this is just the latest sign that Facebook - formerly one of the world's most successful companies - is doomed to go the way of CompuServe and AOL. PlainSite is a project launched by the Think Computer Corporation and Think Computer Foundation which aims to make "data accessible to the public free of charge” and "lets ordinary citizens impact the law- making process," according to Bloomberg. Aaron Greenspan recently told his story about how he fit into the history of Facebook's founding at Harvard on a podcast. Facebook's fraudulent numbers hurt its customers (advertisers) by overstating the effectiveness of Facebook's product, the company said. 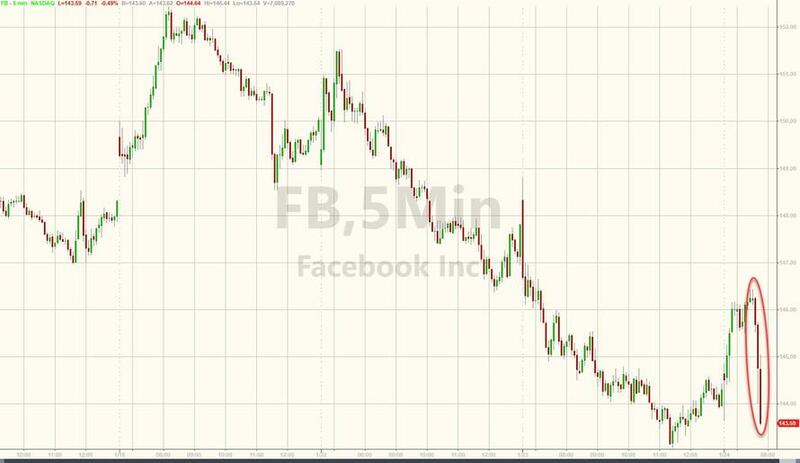 FB shares reversed earlier gains after the report started making the rounds; shares were down 1.2% on the day in recent trade. Here is an artist's impression of what the "other half" of Facebook users look like.